Prayer lies at the heart of our relationship with God and so it is also at the heart of all that we do as a church community. Prayer is simply speaking to God. We pray not on our own but in the name of Jesus Christ and in the power of the Holy Spirit. We would love to encourage you to get involved in prayer in the life of this church. Here are the key ways you can do that. Our monthly prayer meetings are our most important gatherings besides our Sunday services. We meet to worship and to pray for each other, the church and important issues around the world. They are held on the first Wednesday of each month with supper at 7pm with prayer running from 7.30 - 8.30pm. 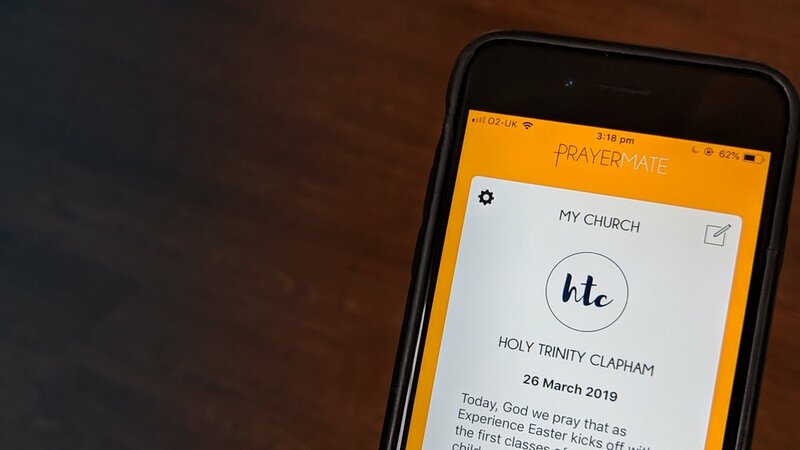 Pray with us every day by downloading the PrayerMate app and following the HTC prayer feed, instructions can be found in the link. This will give you something to pray for everyday in the life of the church and help structure your own prayer times. As a church, we encourage you to have a daily time with God reading the Bible and praying. To help you read the Bible, try downloading the Bible in One Year app which we are suggesting for all the church to follow. Encounter is an evening of extended worship and prayer. All are welcome to join in as we seek God together. Once a month we hold a Taizé-style service composed of meditative singing, Bible reading and prayer and times of silence. Join us on the third Monday of each month, everyone is welcome. God has put us together in the family of the Church to help and support each other and one of the ways we do this is through prayer. We believe passionately in the power of prayer and that God wants us to draw alongside others who have a need, whether that is for physical, emotional or spiritual healing, for guidance or for anything else.